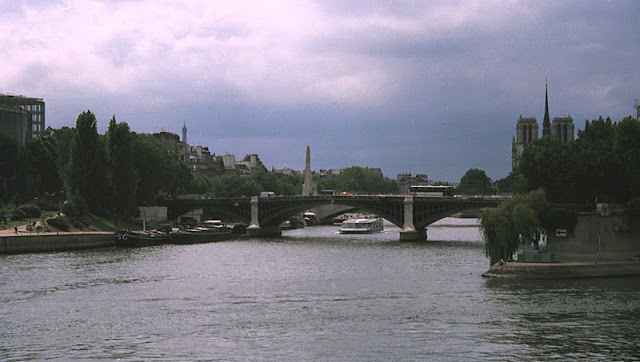 Although this website is called 'Bridge Photo of the Day' I'm hoping that two photos will provide a better view of this bridge on both sides of the Ile Saint Louis. The southern part of Pont Sully (at the left bank) is composed of three cast iron arches (46 m- 50 m- 46 m) separated by masonry piers. The northern part (across the narrower part of the river) is composed of two 15 m (49 ft) masonry arches separated by a 42 m (138 ft) cast iron arch. Pont Sully was opened in 1877. It may have been named after the architect of the nearby Notre Dame Cathedral. It replaced two suspension bridges: Passerelle Damiette (on the Right Bank), which was destroyed during the 1848 Revolution and Passerelle de Constantine, which was built in 1638 and eventually collapsed. More information on these deck arches is at Structurae. 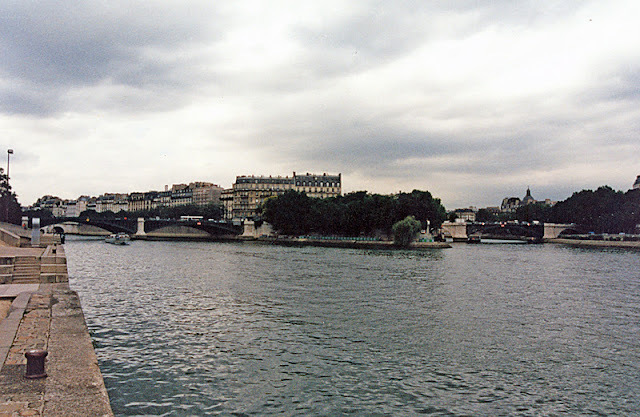 Seine River Bridges: Pont Sully by Mark Yashinsky is licensed under a Creative Commons Attribution-NonCommercial-ShareAlike 3.0 United States License.